Such an honor, I’ve won the first (!) prize in a photo contest about street photography in color. Can’t believe I won a Leica V-Lux camera. This is so amazing – my image was selected from 1,700 photos – completely flabbergasted. It was featured online, view the article and other winning images at the website of DIGIFOTO PRO. 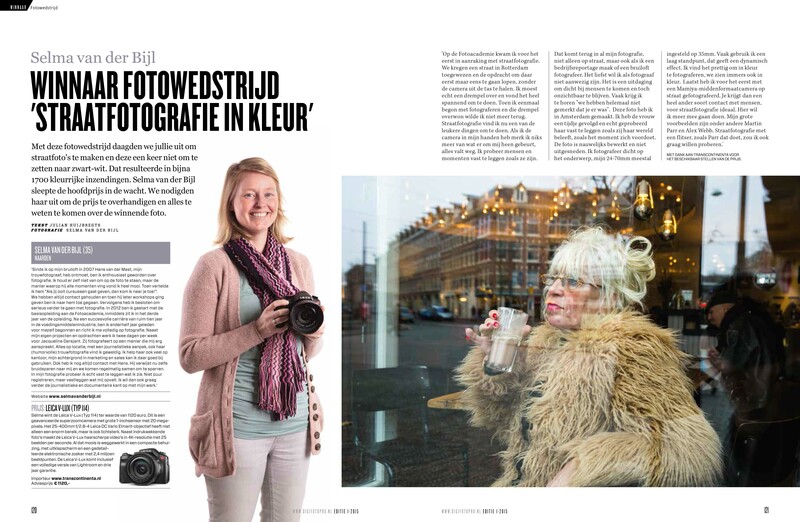 Furthermore it was published offline in DIGIFOTO PRO magazine (Issue 1, 2015) where I introduced myself and talked about my photography and how I shot this image (sorry Dutch only).